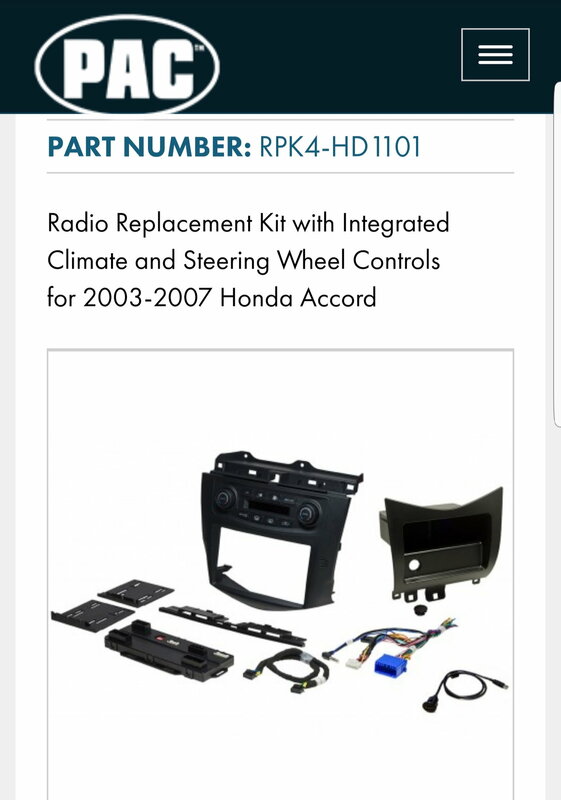 PACaudio 2003 to 2007 Honda Accord double din dash kit. Integrated climate controls for either single or dual mode. Keep your steering wheel controls with most head units. Works great. I installed it about 8 months ago so I have used both heat and a/c with no issues. Only selling because my Honda was totaled in a rear end collision. The install kit has no damage. There are a few minor scratches on the upper left hand. 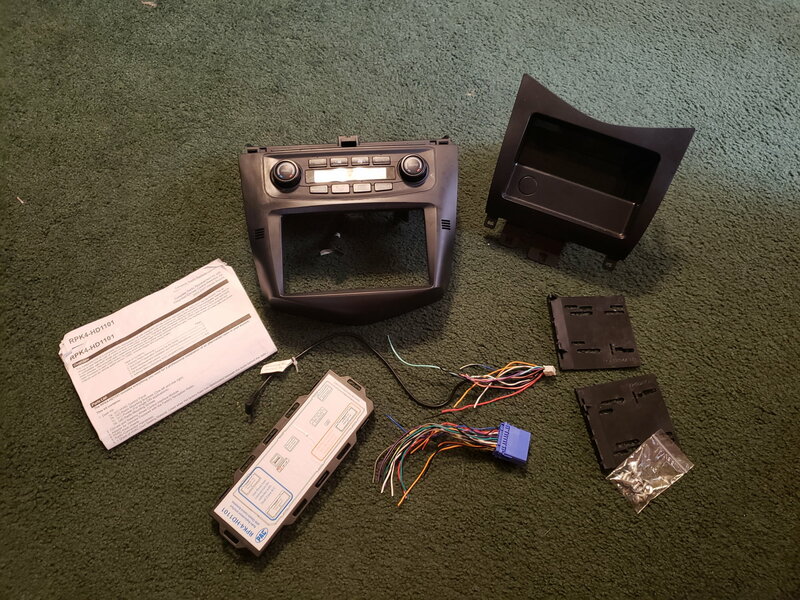 Comes with kit, wire harness, mounting brackets and screws, and the shelf. If you buy from me, I will email you my suggestions for how to run the usb cables through your ash tray so you don't have wires everywhere. Also included are the installation instructions. But, if you have any install questions, I will be more than happy to help you out. To buy brand new from PAC, it is around $400! I am asking $300 but I will consider reasonable offers. I am located in Metropolis, Illinois and I am also willing to ship.